Dogs have long been considered man’s best friend. Not only do they provide companionship and loyalty, studies have shown that having a dog around provides huge health benefits. Almost everyone will agree that dogs are amazing. In fact, people love them so much that they’re happy to let their dogs sprawl across their bed at night. Is the discomfort worth it? Yes! 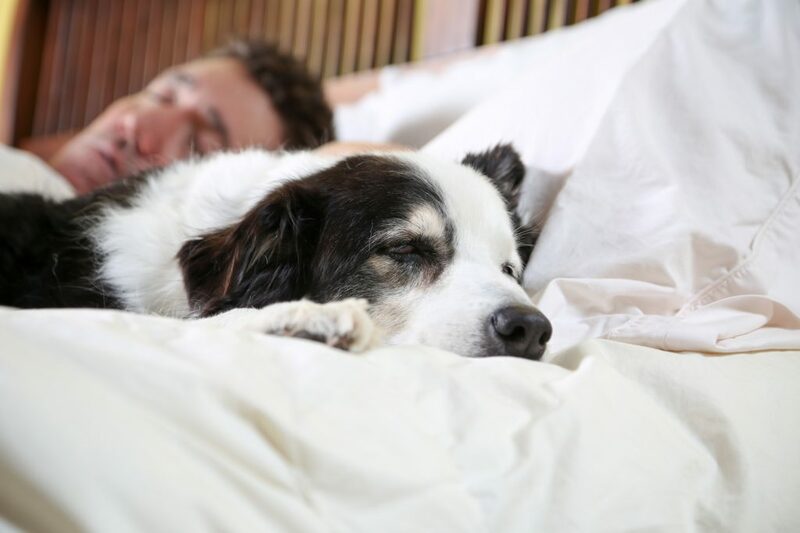 For dog lovers, the reasons why dogs should sleep in their bed far outweighs the occasional sleepless night. 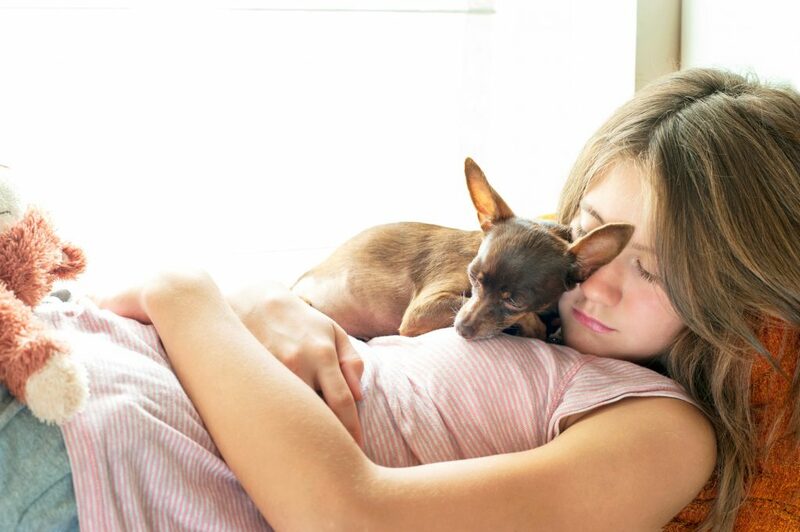 Having a dog around, even while you sleep, will make you a healthier, happier person. Studies performed by the Centers for Disease Control and Prevention and the National Institute of Health show that dogs lower your risk of heart disease. How? Both organizations believe dogs help minimize stress which will lower cholesterol and triglycerides levels. 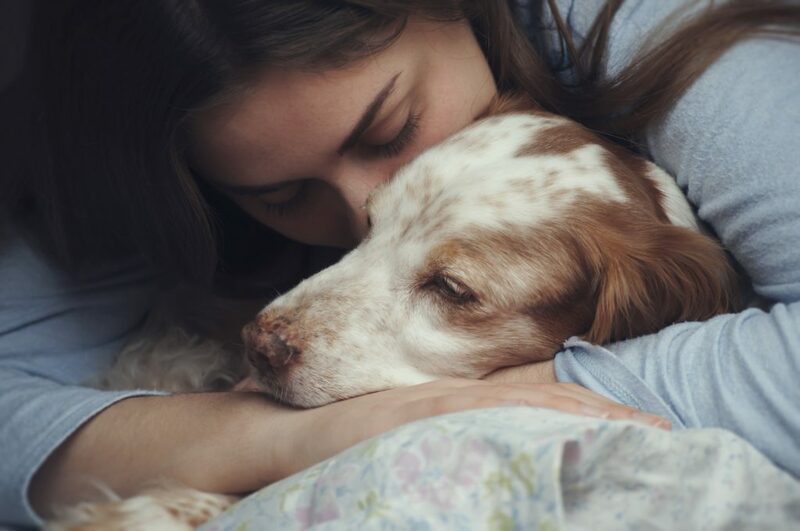 If you recently suffered a heart attack, dogs can help you recover faster too. Remember, an apple a day may keep the doctor away, but a dog will keep your stress at bay. They help you sleep better. 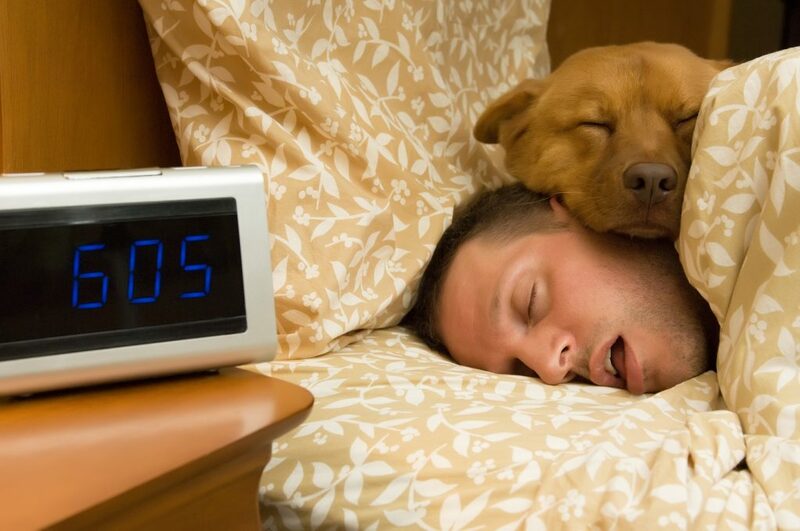 People suffering from insomnia have reported that having a dog in their bed helps them fall sleep. The presence of slumbering dogs can chase away the stress accumulated through the day, and the rhythmic sound of their breathing works better than a lullaby. During cold nights, snuggling against your dog feels warm and cozy, because their body temperatures run several degrees hotter. Their presence can also provide comfort, especially after a nightmare. 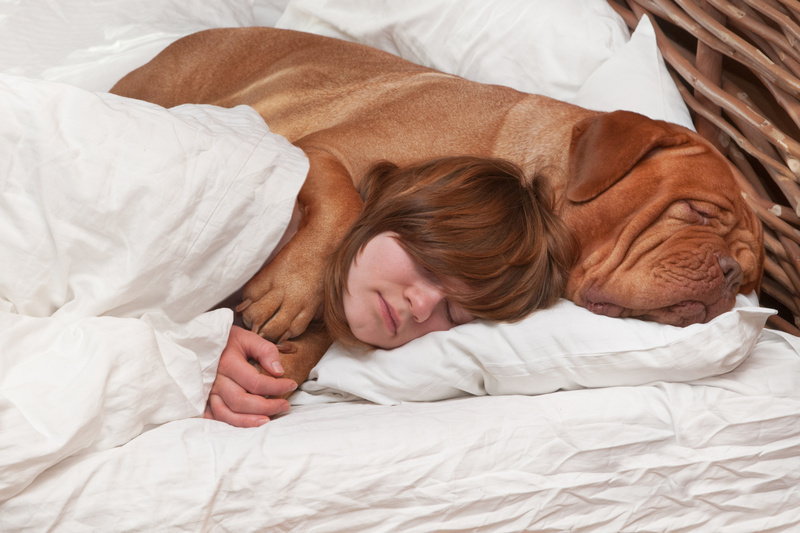 Having a dog sleep in your bed will help you feel safer, especially if you live alone. When an intruder approaches, your dog will defend you and your home by barking loud enough to wake the neighbors. That shadow in the corner of the bedroom? That creaking sound right outside your door? You know there’s nothing to worry about if your dog is still fast asleep and snoring beside you. Studies show that people with depression can feel better with an animal around. Dogs are a source of unconditional love, and because they demand so little, it’s easier to let yourself be vulnerable around them. Petting a dog has also been shown to raise oxytocin, a feel-good hormone that can increase relaxation, trust, and well-being. When your head is in a bad place, especially when you’re alone at night, having that connection to another living creature may make all the difference. Your dog loves it as much as you do. Dogs want to feel warm and secure too. Since they’re social animals, they naturally prefer to sleep curled around each other. Just take a look at a litter of puppies. When they sleep, they’re piled on top of one another, forming a mountain of cuteness. Who wouldn’t want their dogs to be as happy as those puppies? If space is an issue, consider having them sleep at the foot of the bed or provide them with their own sleeping spot somewhere near you.